When you need to replace a mattress in your bedroom, you can easily locate many options by visiting a local mattress or furniture store. These beds may have different materials and top options, but they generally only available in the same standard sizes. Therefore, it’s easy to find a quality mattress for your home use with minimal time and effort. However, when you need to purchase a replacement mattress for your sofa bed, RV or boat, you will have more difficulty finding a quality mattress that is a suitable size and shape for your specific need. In addition, it can be even more challenging to find a comfortable mattress to sleep on for these unique purposes. At Replacement-Mattress, we strive to be your “go-to” resource for quality mattresses for all your specialty mattress needs. Whether you are in the market to purchase sofa bed mattresses with a rectangular shape, or a more uniquely shaped camper mattress or marine mattress, taking proper measurements and obtaining the proper dimensions is imperative. 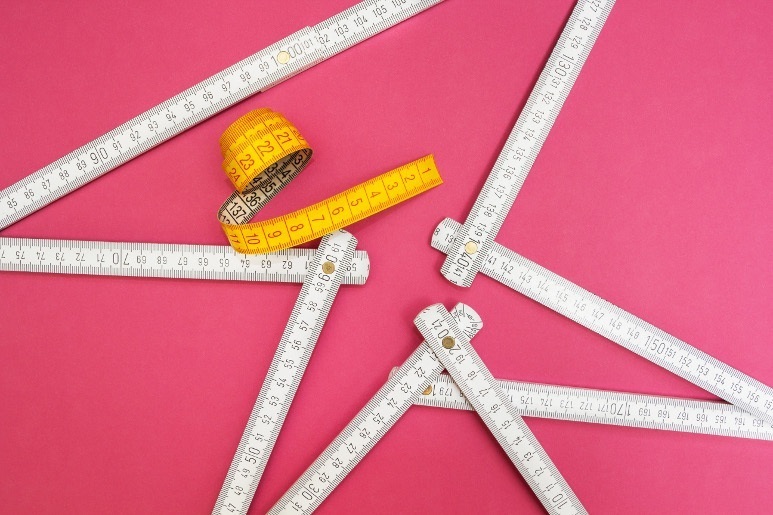 In order to properly measure mattress dimensions, you should avoid measuring the old mattress, especially because it could have changed its dimension during extended use. Instead of measuring the old mattress, you need to measure the frame that will support the mattress. Then, when you have these mattress dimensions, you can round down slightly to ensure that the mattress that you purchase will fit onto its frame. Also, (especially when purchasing a sofa mattress,) keep the height of the mattress in mind as well. Your new mattress will need to fit within the sofa mechanism when the mattress is stored. If a sleeper sofa mattress is too thick for its frame, it might get permanent folds set into it, which would be uncomfortable. Keep in mind, at Replacement-Mattress you can find both custom and standard sized mattresses. We can even manufacture different cut-styles: rectangular, one cut corner, two symmetrical cut corners and rounded corners. We offer a wide enough range of sizes and height options and cut-styles to suit just about any need. Even if you can’t find your particular size and shape in our online store, we can work with you on custom mattress to fit your unique needs. What Sizes Are Available in the US Market? So if you need a mattress that doesn’t fit these exact dimensions, or you need an even larger replacement mattress, like a king size, you’ll probably need to order a custom mattress for your sofa, camper or boat. If you are in the market to purchase a new mattress for use with your RV, boat or sofa bed, you may be focused on finding the right shape for your needs, but you do not want to overlook the importance of comfort. Replacement-Mattress offers foam and memory foam styles that are ideally comfortable, and that will not give you the experience of feeling springs in your back while you sleep. Take time to find the right size and style of mattress for your needs through Replacement-Mattress today.